I see some really interesting polishes if you ask me. 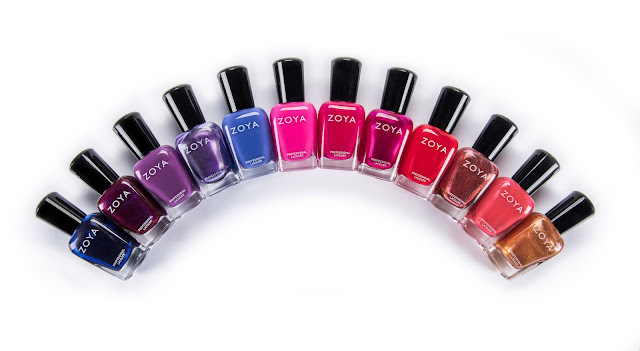 Also, didn't Zoya used to have 6 polishes in their winter collections? I'm not complaining! Shall we finish this collection first? Up first we have Presley which is a muted mauve creme. I love neutrals like this! It's a very work-appropriate color and is the perfect palate cleanser. I used 2 coats for the photos above, and it self-leveled well. Tabitha is the opposite of Presley, but I love it just as much! It's a gorgeous deep hunter green shimmer that requires a light touch on the last coat to make sure you don't get any brush strokes. 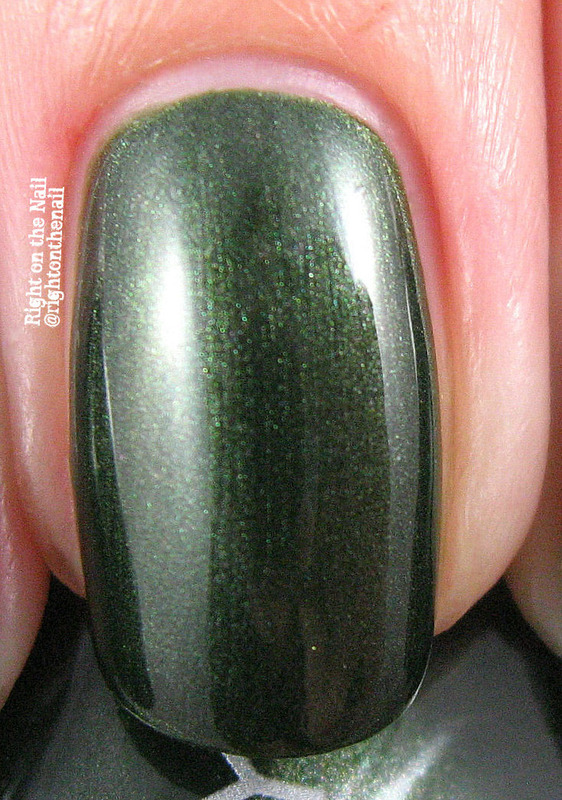 It was extremely pigmented and barely needed that second coat. The shimmer didn't affect the removal, which was a breeze. And last, but not least, we have Yvonne which is a deep wine creme. It's not the most original color, but it's very appropriate for a fall collection. I didn't have a problem with staining, but try not to smear the color into your cuticle when removing it because that's happened in the past with similar colors. This is 2 easy coats. What do you think? 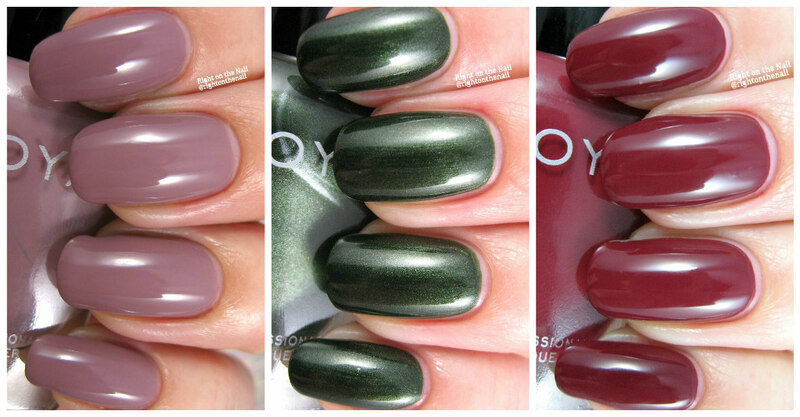 This wasn't my favorite collection from Zoya, but there were several stand-outs and they all applied really well. My top recommendations are Hadley, Gal, Presley, and Tabitha. Zoya polishes retail for $10 and you can find out more about them on their website, Facebook, Twitter, or Instagram pages. Keep an eye out for them in your local Ulta store if you want to see the bottles in person before you buy.